There are so many institutions of higher education for students to choose from that attracting students is becoming an increasing challenge. Once students are attracted to a particular school, the next key is keeping those students at that institution until they complete their course of study. While it's unreasonable to expect every single student who begins a program of study to finish the entire program at the same institution, the goal is to keep as many students in the program as possible. So the real question becomes: How do institutions of higher learning retain these students once they attract them to enroll? 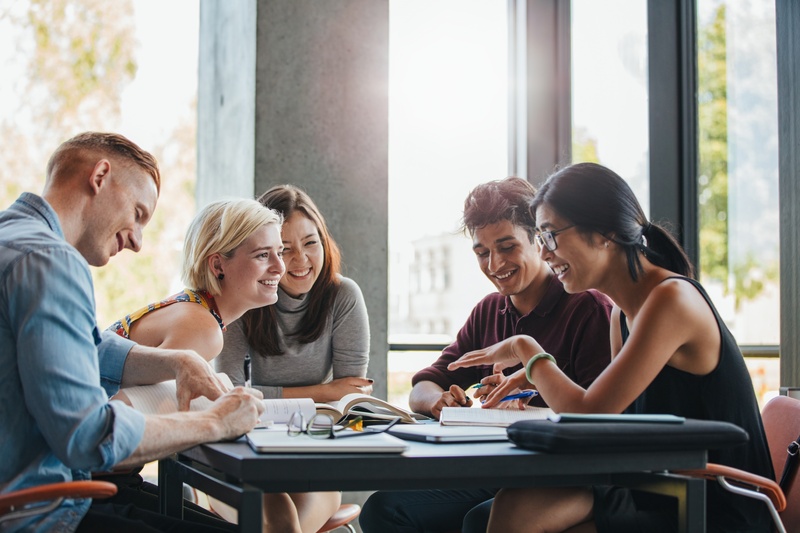 Establish a Vision for Student Success: It's key that the institution is putting the student at the center of the higher education experience. This means that the schools should align all of their resources to help the students enrolled in their institution succeed to be the best of their ability. Identify Priorities: The institution must identify specific priorities that are in place to help their students succeed. The priorities of the higher institution must align with the priorities of the students to help them succeed. If the institution is not truly aligned with what the students needs are the students will go find an institution that is. To keep those students in your institution you must engage them and give them a reason stay there. Focus On What Your Successful Students Do: Ensure that during orientation students are clearly told what is being offered to them. Some will not understand that class attendance is not optional. Others will not realize the time and effort that they will have to put into their coursework to succeed. Some students may not understand that there are tutoring services and disability services there to help them if they need it. Explaining what resources are available and how students can utilize these resources gives them the opportunity to succeed. Identify & Implement Strategies To Help "At Risk" Students: All universities should have a plan to help identify the "at-risk" students who are more likely to struggle with their studies and therefore more likely to drop out. Early intervention programs can help these students who may otherwise feel too intimidated to seek out the help they need. Faculty and staff can help identify students who are struggling in their classes and help them get the help they need. This should happen before it becomes impossible for the students to pass their courses or maintain the GPA needed to continue in the program. Build Bridges For Students: Identifying students can begin with determining how many absences students are having from classes. If they are struggling to even come to class, they are also likely to struggle with coursework and keeping up with their classmates. Offering "safety nets" for students who need help can help them get through the program and succeed, which is the point of the institution of higher education in the first place. For more information on how to ensure that you boost your student retention and reach your goals, please feel free to contact us.